With the participation of five Candidate Cities in September 2015, the International Olympic Committee (IOC) hoped to gain momentum after two bidding processes (2020 and 2022) marked by the final integration of three (Madrid, Istanbul and Tokyo ) and two contenders (Almaty and Beijing). Nevertheless, the successive withdrawal of three Candidate Cities in the space of a few months has highlighted the gaps still present in IOC governance and in the institution’s relationship with communication. Above all, the various withdrawals led to a precipitous but expected duel in the perspective of a final round of voting. Indeed, with Los Angeles (United States) and Paris (France), the institution has managed to preserve two mythical and iconic cities for the Olympic Movement, organizing two editions of the Summer Games each : 1932 and 1984 for the first ; 1900 and 1924 for the second. In order not to draw a line on a possibly unique opportunity to have two candidatures of this size and technical quality, the IOC has subtly – through the voice of its President, Thomas Bach – submitted the idea of ​​a dual allocation of the Games for 2024 and 2028. This subtlety is reflected in the fact that the IOC itself does not intend to emerge as a forsaken institution that is losing momentum. If the figures show a disaffection of the Candidate Cities over the last ten years, the idea of a double allocation of the Olympic Games can thus give the impression that the institution has at last become aware of the stakes and the new challenges that it must henceforth assume. The Agenda 2020 was a first attempt to modernize the institution and its functioning. The missed process of the Olympics 2024 is – in a way – a second. Undoubtedly, a crucial attempt for the future of the Olympic model. Today, therefore, the IOC has two high-profile projects, each of which has its own specificities. The visit – on Wednesday, July 12 in Lausanne (Switzerland) – of the stands set up by Los Angeles 2024 and Paris 2024 to promote their respective vision of the Games has been a perfect illustration. On the one hand, Los Angeles 2024 offers connected Games, relying on a map of technological innovations and spectacular visual effects. The enlightened map of the Sports Parks proposed by the American candidature for the IOC had made a strong impression at the Rio 2016 Games. This fun and educational support has once again been presented with it is true adjustments comply with the technical details provided by the application during the first half of 2017. In addition to this map, Los Angeles 2024 has also offered invitations to discover the Athletes’ Village at the University of California at Los Angeles (UCLA) campus or through the Virtual Reality Archery near the stadium – under construction – of Inglewood. The musical background chosen by LA 2024 to bring the visitor to his stand also shows this desire to invite the world to travel the Californian sites and the luminosity between sky, ocean and mountains characteristic of the West coast of the United States. On the other side, Paris 2024 proposes Games in iconic venues known all over the world and which make the fame of the City of Light. Beyond this major argument, Paris also invites spectators in a setting of festivities and celebration unprecedented on this scale, since installed on the Seine, between the Eiffel Tower and Seine-Saint-Denis. 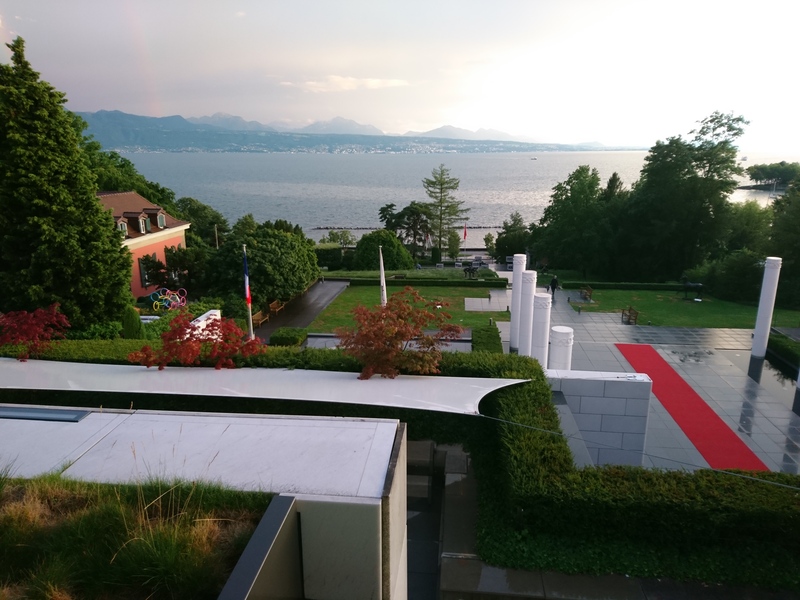 The space created by the French candidature in Lausanne has demonstrated this link between History and celebration of the Games. For example, Paris 2024 has created a fictional apartment in which were deposited photographs – such as Tony Estanguet, co-president of the candidature, with his brother Patrice, a canoe-kayak bronze medalist at the 1996 Atlanta Olympics – but also the bib of Guy Drut at the Montreal Games in 1976, and elements of symbolic decoration. Alongside Olympic torches (Athens 2004, London 2012 in particular), the candidature had arranged books or DVDs symbolizing French culture or the spirit of Paris. Victor Hugo’s works were thus associated with the films « Intouchables » or « Amélie Poulain ». A map of the Paris 2024 sites had of course been installed, as well as two huge screens designed like windows on the city and its emblematic places. A medal of sharing was also presented to the Olympic Family and journalists. Designed by renowned designer Philippe Starck, it is an illustration of the slogan of Paris 2024, « Made For Sharing ». The Lausanne sequence of the Candidate Cities – which ended with this presentation of the stands – was therefore an opportunity to discover or rediscover the spirit of the two contenders, while confirming by a vote by a show of hands and unanimity the principle of dual allocation of the Games. As stated in a previous article, the conditions for this dual allocation are based on a tripartite agreement, which involves the Candidate Cities first and the second place, the IOC. If Los Angeles and Paris reach an agreement by August 13 – one month before the 131st Session of Lima (Peru) – the double award will be won and the two Candidate Cities will organize the Games. If, on the other hand, the talks do not make it possible to reach an agreement, the Peruvian Session will take the form of a classic vote with a ballot only on the 2024 deadline. « We will enter into a process of discussion. In a negotiation, one must be careful that no one loses, is humiliated, is forced to give up important things. In negotiations with the IOC and Los Angeles, do not leave in a poker liar but from in something that allows everyone to win » has also said Mayor Anne Hidalgo during an interview near Lake Geneva. In the case of a lack of agreement between the Candidate Cities, the vote of Lima could turn in favor of the American bid. The latter has in fact adapted its speech to the evolution of the candidature procedure and – without opening the door to the deadline 2028 contrary to the analysis of some – has succeeded in a subtle communication operation. 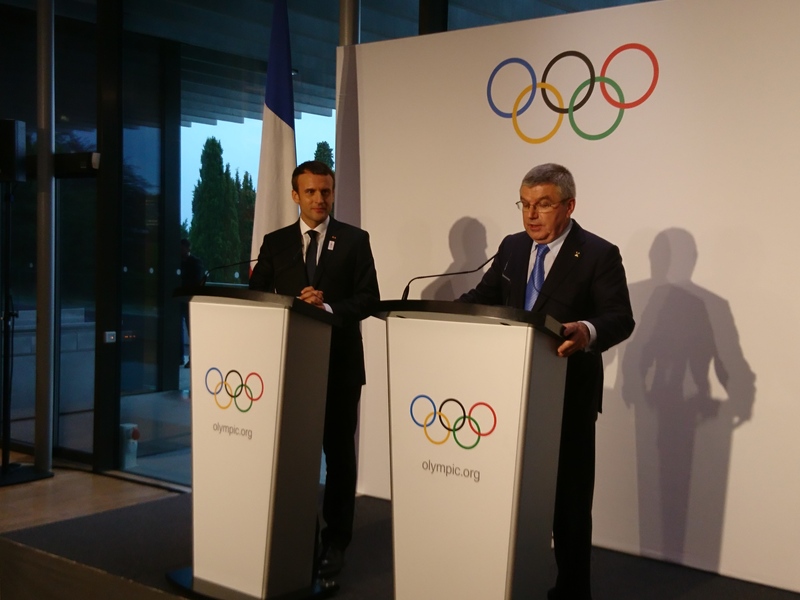 The strategy of Los Angeles 2024 was thus hammered as far as Lausanne: to reach a partnership with the IOC without giving the latter the feeling to face an ultimatum. In other words, Los Angeles’s candidacy is more open than Paris, which – through Mayor Anne Hidalgo in particular – would be the embodiment of a project conceived only in the perspective of 2024 and fact, not adaptable to the IOC in view of the exceptional situation. The arguments put forward by the candidates of the French candidature bring some elements as to the feverishness that has been able to win the tricolor ranks in the last months : the venue of the Village would not be available for 2028 – that the public authorities are fully engaged in the Olympic and Paralympic project – and the realization of this eco-neighborhood could not be postponed for electoral reasons. In other words, the lag in the construction of the Village would constitute a moral fault with regard to the voters of the Seine-Saint-Denis in search of housing. But what about the successive projects of Aquatic Center since the Paris 1992 bid ? Despite the fact that one child out of two in Seine-Saint-Denis can not swim on entering the College, Bercy-Tolbiac area (1992), Claude Bernard area (2008) and Aubervilliers (2012) projects have never seen the light of day. The IOC was not mistaken in this by asking the bidder, and thus the public authorities, to guarantee the development of the Aquatic Center envisaged for 2024. The two Candidate Cities would have much to lose from the absence of an agreement. Los Angeles has been a ten-time candidate for the Games since Second World War – including bids for the US nomination – and Paris has failed three times over the last thirty years. On both sides, friendship and political closeness between the two Mayors were established as a guarantee of success for a tripartite agreement with the IOC. But the Games go far beyond the municipal framework. Thus, the meetings of President Thomas Bach with President Donald Trump on February 22 and with President Emmanuel Macron on July 10 undoubtedly helped to clarify a common horizon for all three parties.